Hundreds of elementary students spent Tuesday bundled up inside cold classrooms in Oak Cliff. According to the Dallas Independent School District. 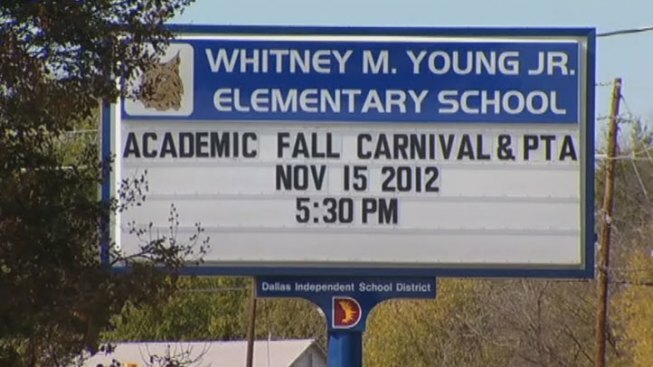 boiler went out at Whitney M. Young Elementary on Monday, causing the building to be cooler than usual. Maintenance crews spent the day working on the boiler on Tuesday. The school has more than 600 students enrolled from pre-kindergarten to fifth grade. First-grader Serkennon Searcy said his teacher made sure his class was warm. "She said we got to put on our jackets we might get a cold because it's too cold," said Searcy. "My teacher said it was so cold I [was] supposed to keep my gloves, jacket and hat," said first-grader John Rodriguez. His mother, Cecilia Rodriguez, said she was especially because of this week's cold weather. DISD, not each individual building, controls the temperature. DISD said the problem with the boiler should be resolved by the end of Tuesday and the heating should operate normally on Wednesday.